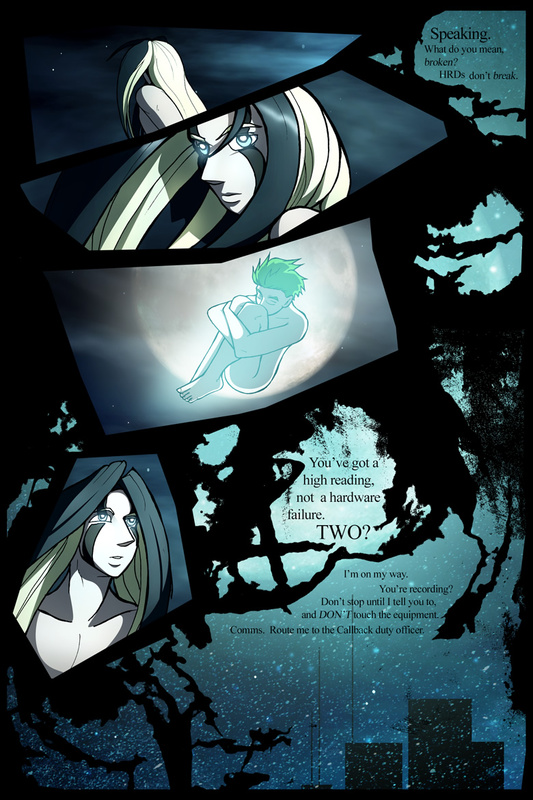 Major cleanup points: Panels two, three, and four – The shadow Alias casts on his hair; the overall lighting around Dyluck, and then Alias’s jaw and hair in panel four. The “overheard” text is by far the biggest change to the entire scene – in this case, I figure that it fits better if the “locational” text and the “overheard” bits don’t overlap. Previously, the text was intentionally obfuscated, buried behind the background. For the second edition I’ve rewritten the scene and worked to make the text relevant and legible… if not any less obfuscated. The “overheard” scene continues to revolve around Grij and Greymalkin – I wrote out their conversations in their entirety and lopped off the other end of the discussion for the overheard parts of the conversation. 110 queries in 1.069 seconds.